Many years ago, at a high end audio store the sales person was strongly recommending making a tape of anything that will play on linear tracking turntable. Assume that you could create an equal system with same quality cartridge, stylus, and outputs with a linear tracking model and a radial model and you played the same album for many iterations (two different copies of the album - one for each turntable.) Would the linear model do more damage to the vinyl over a long period of time? As with many other audiophile features, it's arguable if linearly moving arms allowed for any audible improvement, and modern manufacturers have not adhered to this technology (at least, that I know, not yet). Regarding disk wearing, I don't see how it can make any difference, as the needle is round, so presenting the same shape regardless of the angle at which it is positioned inside the grooves, and so is going to offer the same resistance and cause the same wear to the grooves. Regarding 'as the needle is round'. This rule only applies to the cheapest low end stylus 'nails' or needles. They are called spherical. Then as price and tracking ability increases, as well as use of real diamond , the shape gets very complex and must follow a straight path for full dynamic range and for less friction damage. Shapes include Shibata, Elliptical, Line Contact. 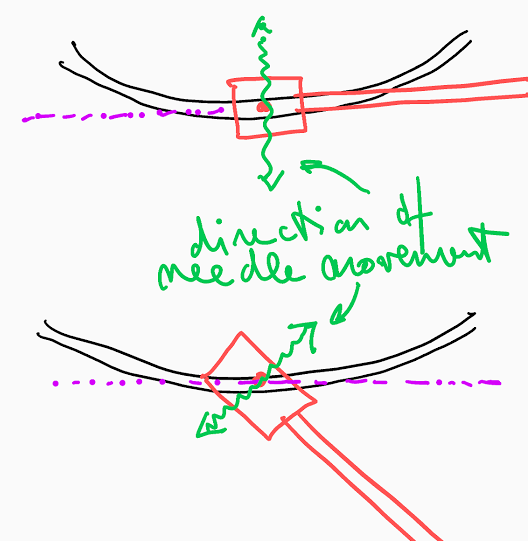 There is something called the "Baerwald" protractor to set up your cartridge alignment to get as close to the proper angles like a Linear Tracker, but with typical tonearm. Not the answer you're looking for? Browse other questions tagged vinyl equipment turntable or ask your own question. Why do guitarists use different gear in the studio than when playing live? Has a B-side unexpectedly become more popular than A-side?